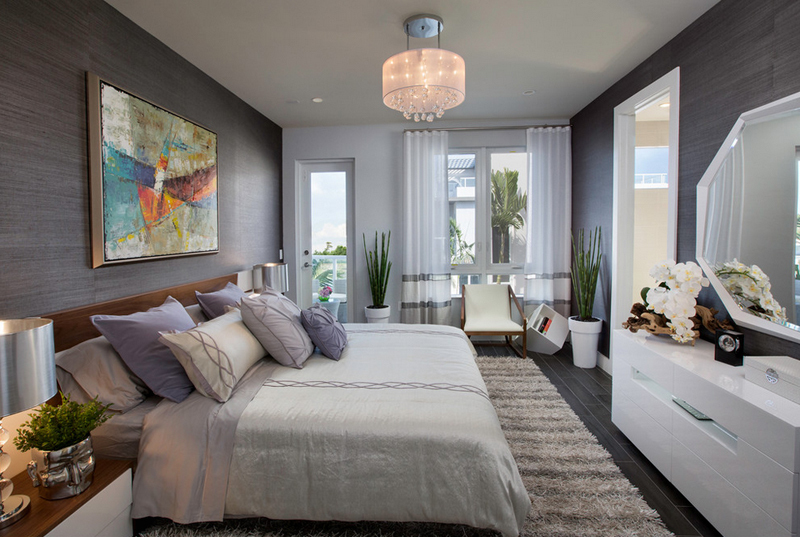 See how stunning a crystal chandelier looks like in a contemporary bedroom. If you fancy having a great chandelier in your bedroom and you have not made up your mind just yet after checking Pinterest, this list we have today might be able to show you a bit of options that you can take. The designs are quite common when you think about, but how they are used in the bedroom spaces might give you a better idea of what you like. 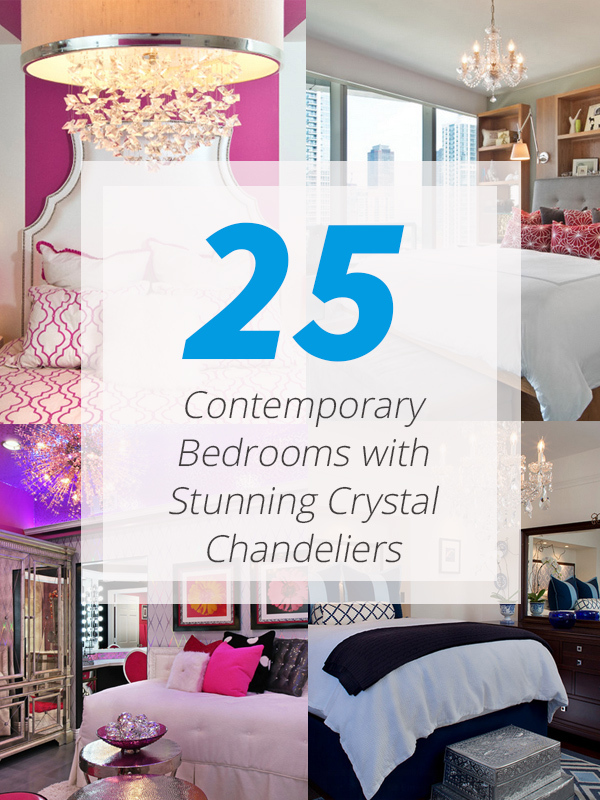 You can go ahead and enjoy a list of 25 Contemporary Bedrooms with Stunning Crystal Chandeliers that are not only pretty and fancy but really contemporary that I’m guessing you will really appreciate. The designs somehow fascinate me in more ways than one. Take a look at the list below and then comment what you think about them! Do you see the crystal chandeliers by the farthest wall? Isn’t it pretty? It is used in an unconventional way because chandeliers are usually placed in the center of a room, on this one, we see it close to a wall. The chandelier in this Meritage Home is definitely a charmer! Take a look at the wonderful design it has with its mini shades that cover some of the lights around it. The furniture in this bedroom is quite special, what do you think? Now this is one awesome bedroom! 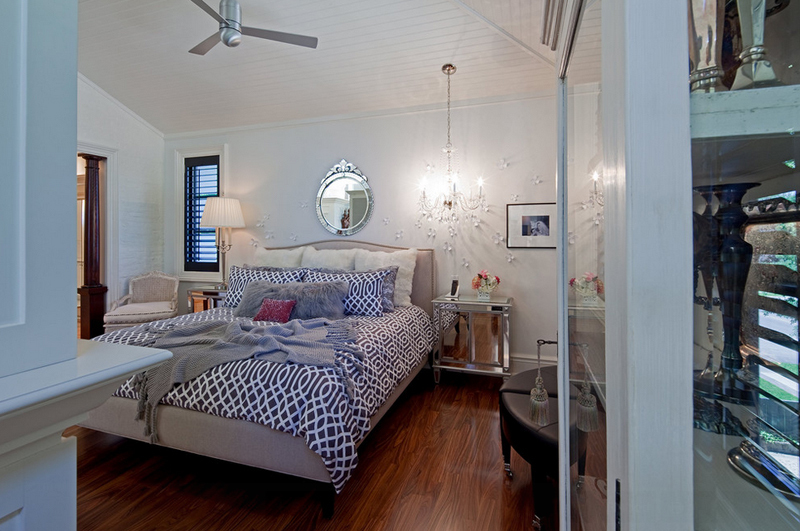 The color combinations are just magnificent and notice the decorations that make the bedroom’s design and decor pop! The chandelier is just fantastic too! The detail is just pretty. The lighting in this bedroom is quite fancy, just like the beddings and the tons of books displayed on the shelves. The large bed is my favorite in this space. Notice the large container at the foot of the bed? Looks really pretty stunning right? The chandelier in the middle of the room is small, lovely and quite exquisite; I can sense that it is also expensive, don’t you think? The color palette of this bedroom is something modest, something I would really love to get for myself. A bedroom with mirrors this many makes me wonder how vain the owner must be that they like to see themselves all the time, but then again, I love to see myself in the mirror! Haha. So, how do you like the grey and yellow combo this bedroom has? This is one bedroom that reminds me how one matrimonial bedroom should look like – or something a bedroom a bride should have, the night before she gets married to the husband of her dreams. Take note that the charming chandelier is a quite a bonus! This color combination is actually common choice in the contemporary spectrum and I think that this is one wonderful bedroom to begin with. The furniture is awesome, the drapes are fancy and the lights are splendid! I sure love the chaise at the end of the bed and it contrasts with the color of the bed that has this gold lining which makes it beautiful and luxurious. The design of the decor is a bit Asian that corresponds well with the color of the walls. 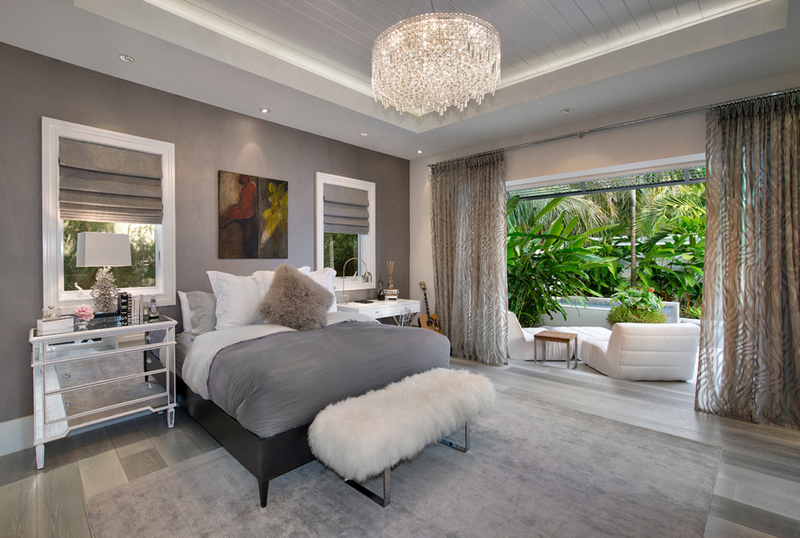 The lightness and calmness of this bedroom is something anyone would want to have – the neutrals makes the color of the lamps pop plus the grey drapes makes for interesting choice since it always goes well with whites and neutrals. 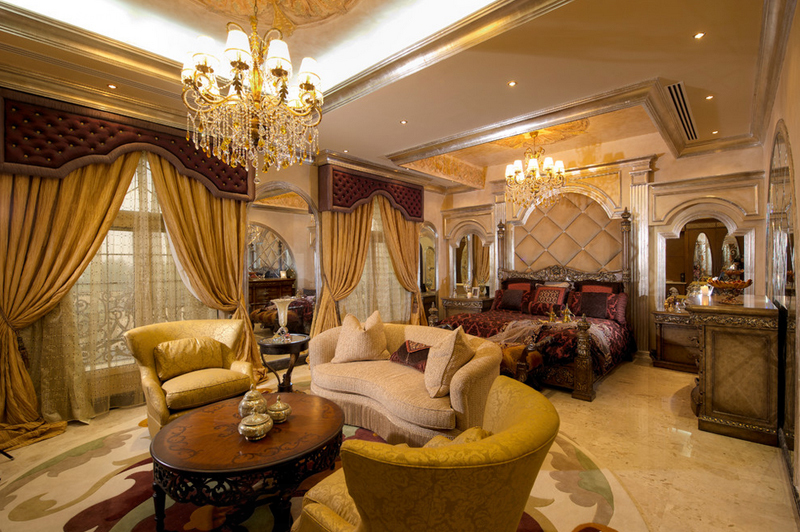 A grandiose bedroom with all the right colors for one princess-like experience in terms of sleeping. The chandelier is a bit similar to the one we featured in the beginning of this list and with two of them in one room, I guess the lighting makes it more romantic! Seems like that the color or material of the walls is similar with floor; the aura of this space is quite refreshing – the windows gives this bedroom enough light during the day and a stunning view during the night. 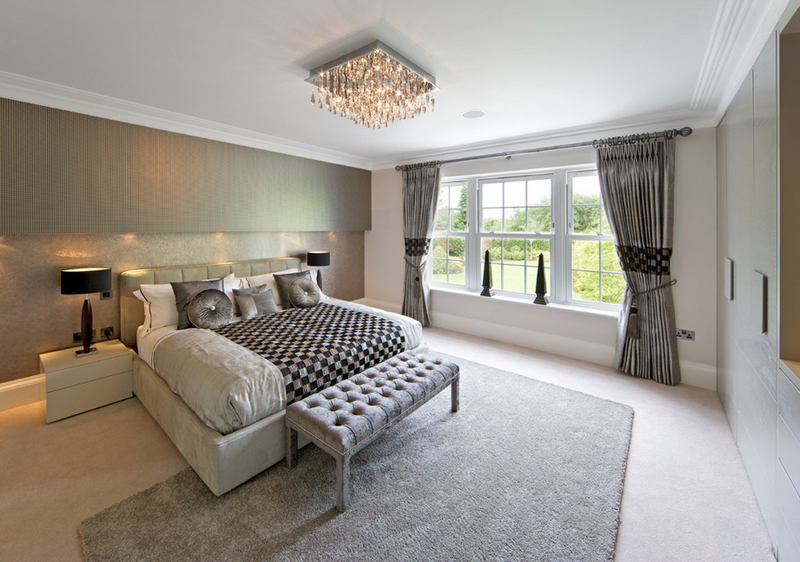 Check out the wonderful chandelier in this bedroom! Usually we see chandeliers as the ones that usually hang on the ceiling, but we see this one which is only slightly hanging which is also a good thing right? This is one bright bedroom! I can’t imagine being inside this space because of how colorful it is. Of course there are people who prefer this and imagine that they are able to really sleep like a baby. This is one large bed that will always be great for those tiring nights at work and you just want to lay down and take a good night sleep. 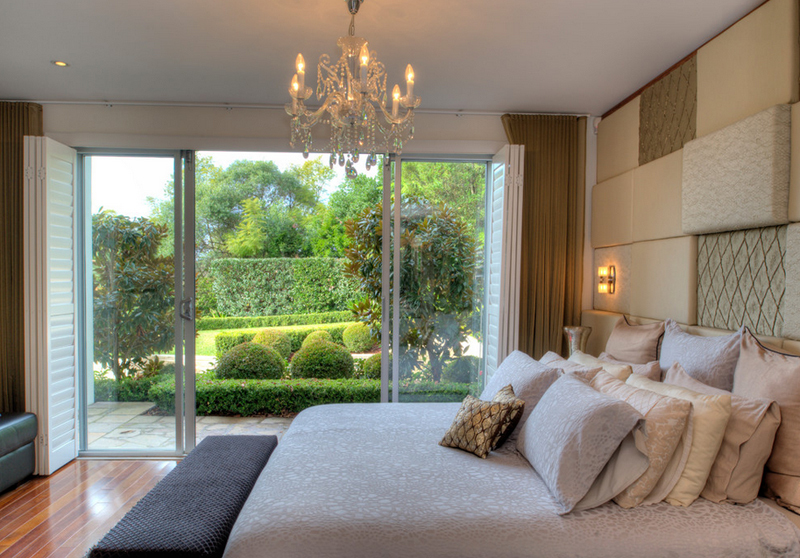 If you like the color palette of this bedroom, I think you would love the designs on the website of the designer. The shades of blue in this bedroom are my favorite touch! Imagine how glamorous this bedroom is because of the color combination and the patterns seen on the headboard and the fabulous chandelier. 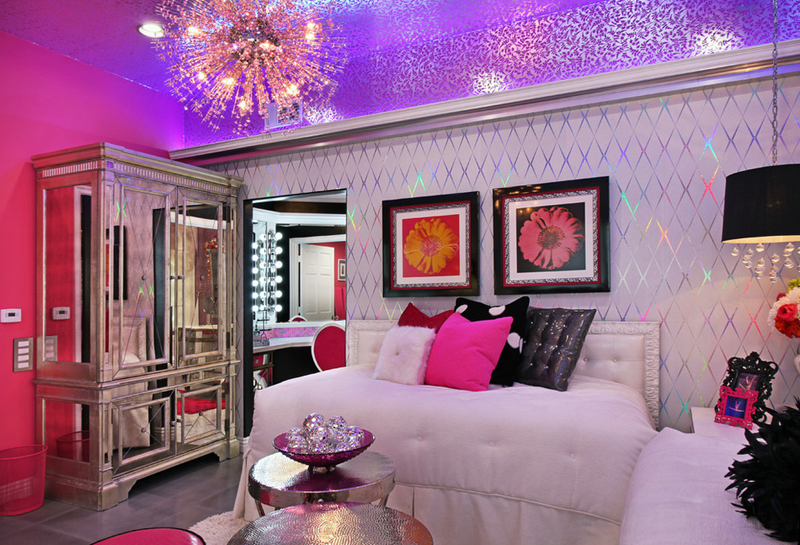 This is one fancy bedroom ideal for teenagers in our day and age. The colors are great and the combination is stunning. Take a look at the chandelier’s color and how cute it looks against all the colors in this space. 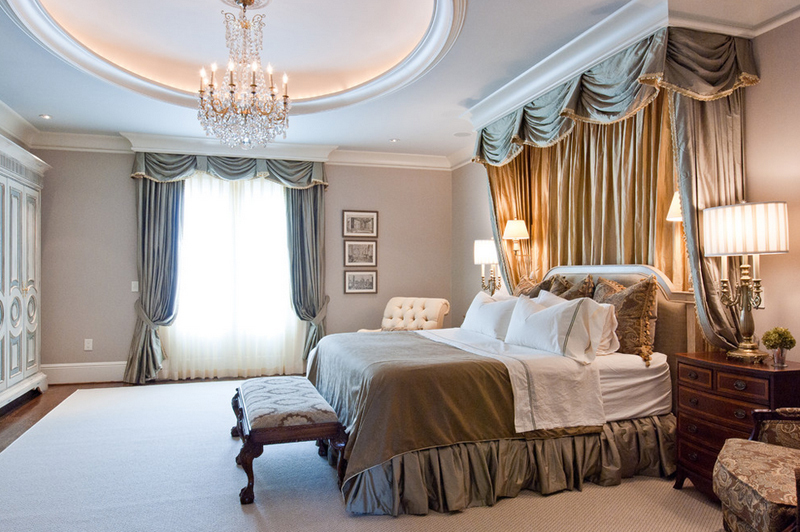 Awesome drapes complete the beautiful aura of this bedroom. The design of the ceiling is intricate and really pretty. The chandelier is a classic and it sure is fascinating to see along with the details in this space. Now that is a lot of pillows! Haha. The view on the outside is just remarkable and really fascinating. The color of the interiors quite makes the outdoors seem really inviting. 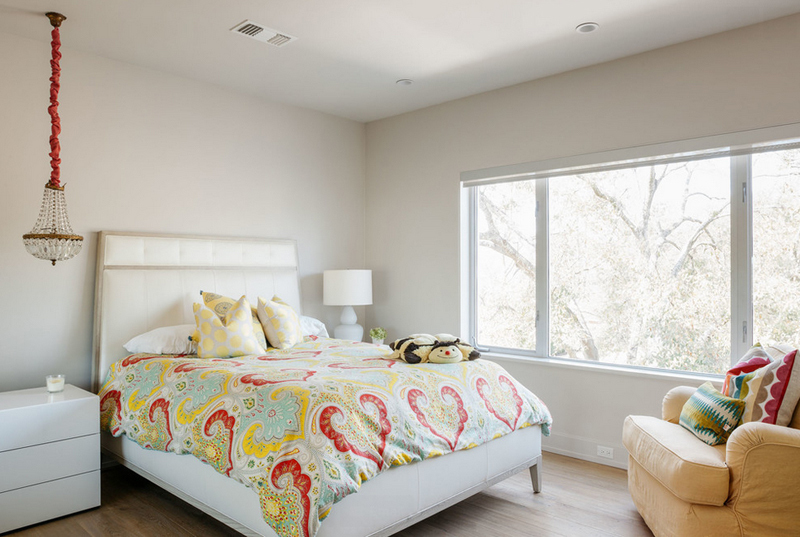 Notice how bright this bedroom is! With all the lighting from the window and the fabulous lamps and chandelier, sleeping with the lights off might as well be tempting not to do! Now, this bedroom I like – with the black and white picture frames and the spherical chandelier in the center of the bedroom, plus the awesome Asian desk on the right sure completes this eclectic bedroom design. Talk about contemporary beauty and charisma. This bedroom is one fancy space not to flaunt – if you know that I mean. 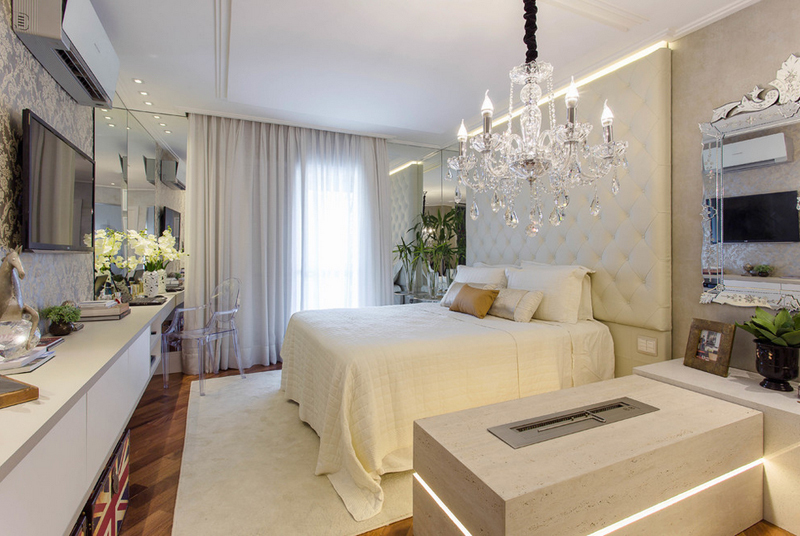 Having chandeliers as ‘lamps’ for a bedroom sure seems to indicate either the owners’ love for lights or that they are just into fancy chandeliers. Haha! The head board of this bed is just as exemplary! What do you think? 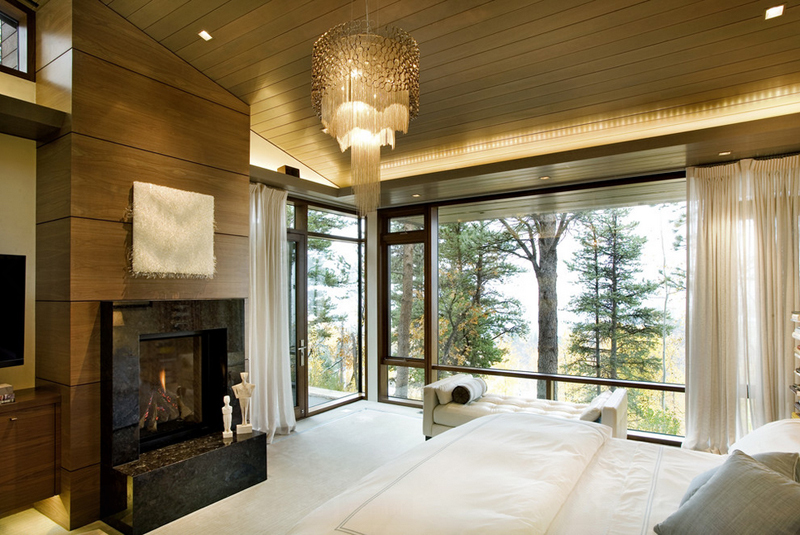 The simple chandelier in this bedroom has a very long wire that connects the chandelier to the ceiling. This is another example of a chandelier that serves as a night stand lamps. If you fancy great lighting fixtures, I’m sure that you’ll love this one because of how pretty it is and how great the design is. The length of this chandelier elongates its beauty and gorgeousness. Now, if you loved the list about the 20 Swarovski Crystals Chandeliers for a Touch of Luxury, I’m guessing that this one interested you as well. The designs range from simple ones to those fancy ones that sure are expensive and even might be designer! More lovely designs to come your way!